created with an emphasis on user experience, community development, and governance. deconcentrated applications built on EOS.IO smart contracts. built on the EOS.IO decentralized operating system. which was manufactured and customized with EOS.IO’s close command line tools. In the second decade since the emergence of Bitcoin, the digital asset marketplace is defined by the constant highs and lows that accrue to a tiny percentage of the global population, trading thousands of cryptocurrencies many of which can be scams. Looking past the frauds, and observing the value of the credible digital application technologies brought to us in the past ten years, we are finally able to progress and promulgate those technologies, thus getting them to penetrate the mainstream. The primary focus of digital assets proliferation is to simplify and enrich user experience. I myself as a cryptocurrency user, find this software to be completely driven by comfort and ease of use, making my digital work environment much more enjoyable. In addition, I believe the choices of which existing technologies to employ and which unavailable technologies to develop are also made out of security and safety of all users. known as VENUE, VERTO, VESPUCCI, and VDEX. 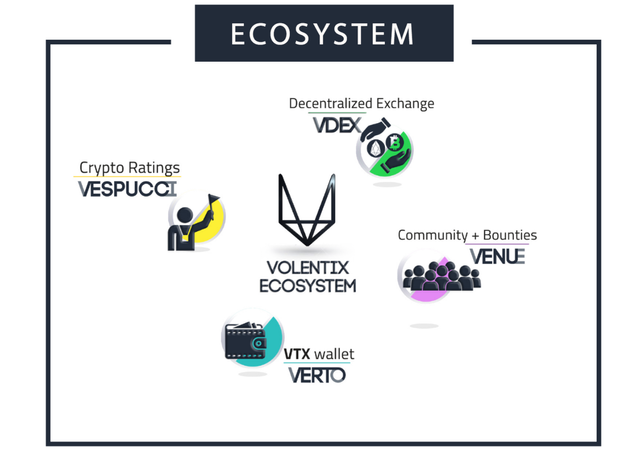 Venue is a dynamic community platform that recruits and aligns members of the VOLENTIX community to facilitate distribution of the native VTX token, and to promote awareness of VOLENTIX community initiatives. Please visit https://venue.volentix.io for more information. Verto is a multi-currency wallet for use with the VDEX exchange and intends to provide custody for private keys in peer-to-peer transactions. Both private and public keys will be locally managed, with the goal of eliminating any risks of devastating losses associated with traumatic failures of central operators. Vespucci is envisioned as an analytics engine, accessible via a user-friendly interface with real-time treasure troves of market data, such as ratings and sentiment analysis. VESPUCCI seeks to bring you confident and comprehensive market-relevant data by aggregating the information currently scattered throughout many different blockchains, websites, chat rooms, and exchanges. as I specified in the beginning. To allow access to and for use of the four pillars of VOLENTIIX, it is required to use the native utility token VTX. As currently conceived, an EOS.io token contract from the EOS.IO framework would facilitate 2.1 billion EOS.IO-compliant VTX tokens with a circulating supply of 1.3 billion. 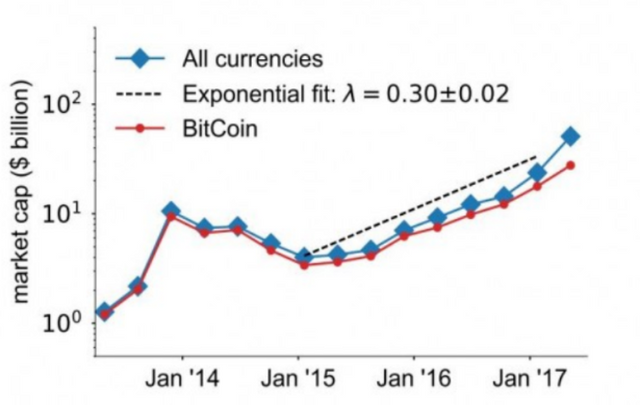 This graph is an example of the rise in market currencies, such as bitcoin, in the last few years. promoting a reduction in dependence on a central authority." fresh code developments that make the trading of digital assets much more safe and convenient.
" Our premise is security and ease of operation "
Currency exchange is a popular service that allows you to quickly receive the required currency at a favorable level. which is rapidly gaining popularity. That is why people who work with cryptocoins must look for multiple reliable exchange sources. Centralized systems are considered unreliable and do not allow the exchange of normal fiat funds for the cryptocurrency. there is only one multi-currency wallet that allows you to make the necessary transactions efficiently and safely. 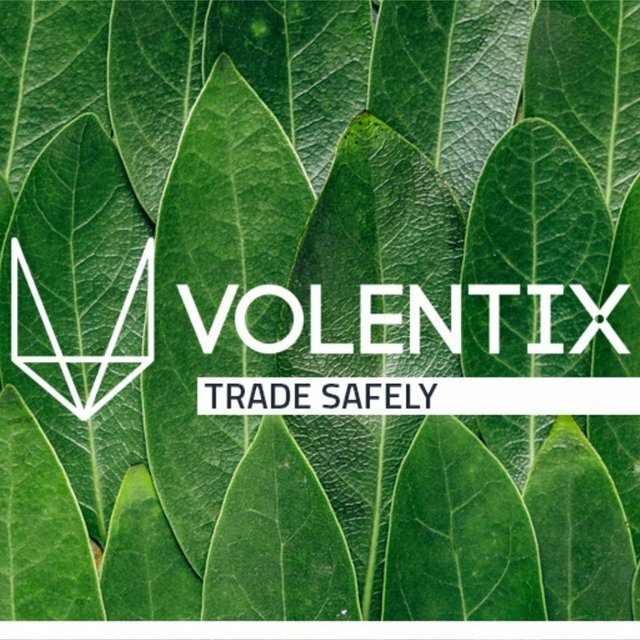 Volentix is ​​based on the blockchain, which makes it possible to carry out all transactional operations transparently and in a secure way. However, sometimes this is not enough, so Volentix does not stop there and decides to implement smart contracts for stronger protection from users and their funds from the possibility of fraud and fraud. Therefore, all users can be assured of the appropriate quality of service. ● Make sure the inspection log is a control. each requiring an elaborative research of their own. Especially having to align all the information within the project, making it enjoyable and understandable to read. Every application and/or software that I had to translate in the ‘’Volentix Papers’’ needed to be more particularized, thus making the research in the subject mandatory. mainly due to the lack of knowledge in the technical language, where know they are very clear to me. Good job - A very accurate translation that brings the reader to a simplistic understanding of the technical terminology. I'd be happy if you could give more personal examples in the future presentation posts. Thank you for your review, @nv21089! Keep up the good work!